We do not sell, trade, or otherwise transfer to outside parties your personally identifiable information unless we provide you with advance notice, except as described below. The term "outside parties" does not include KC Tool, LLC. It also does not include website hosting partners and other parties who assist us in operating our website, conducting our business, or servicing you, so long as those parties agree to keep this information confidential. We may also release your information when we believe release is appropriate to comply with the law, enforce our site policies, or protect ours or others' rights, property, or safety. KCTOOLCO.com uses Google Analytics that is based on Google Display Network Impression Reporting, Remarketing, Google Analytics Demographics and Interest Reporting. If you would like to opt-out of Google Analytics reporting you should check out currently available opt-outs for the web. KCTOOLCO.com uses Remarketing with Google Analytics to advertise online. Third-party vendors, including Google, may show ads on sites across the Internet. KCTOOLCO.com and third-party vendors, including Google, use first-party cookies (such as the Google Analytics cookie) and third-party cookies (such as the DoubleClick cookie) together to inform, optimize, and serve ads based on someone's past visits to your website. KCTOOLCO.com and third-party vendors, including Google, use first-party cookies (such as the Google Analytics cookies) and third-party cookies (such as the DoubleClick cookie) together to report how your ad impressions, other uses of ad services, and interactions with these ad impressions and ad services are related to visits to your site. 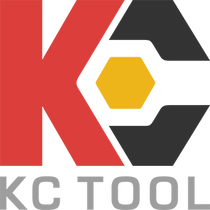 KCTOOLCO.com uses data from Google's Interest-based advertising or 3rd-party audience data (such as age, gender, and interests) with Google Analytics to improve the user-experience of our visitors.